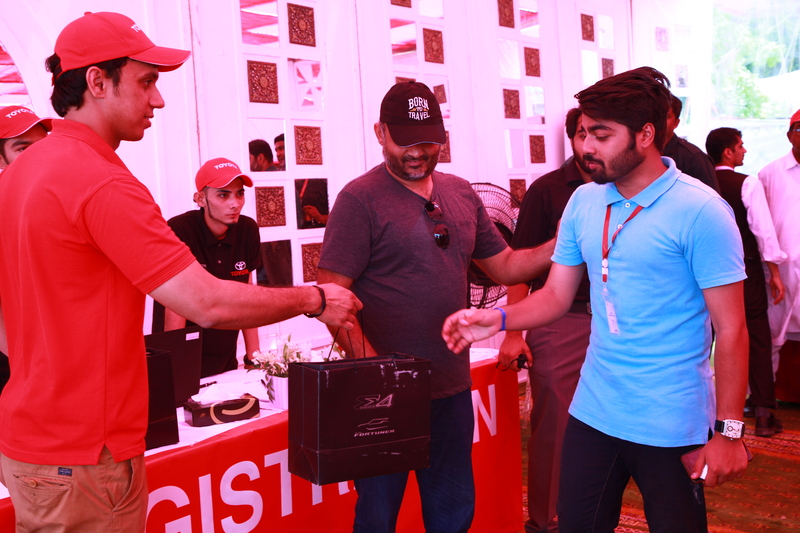 Toyota, a name everyone in Pakistan is well aware of, recently organized a 3-day experiential event to test the strength and abilities of the new Fortuner Sigma-4, a vehicle designed to give shades of both luxury and emphatic strength. If you’re on a budget of Rs. 6.8 million to spend on a vehicle that will give you luxury, power, and ‘raw’ off-roading trips, should you opt for the Fortuner Sigma-4? To find out, continue reading! 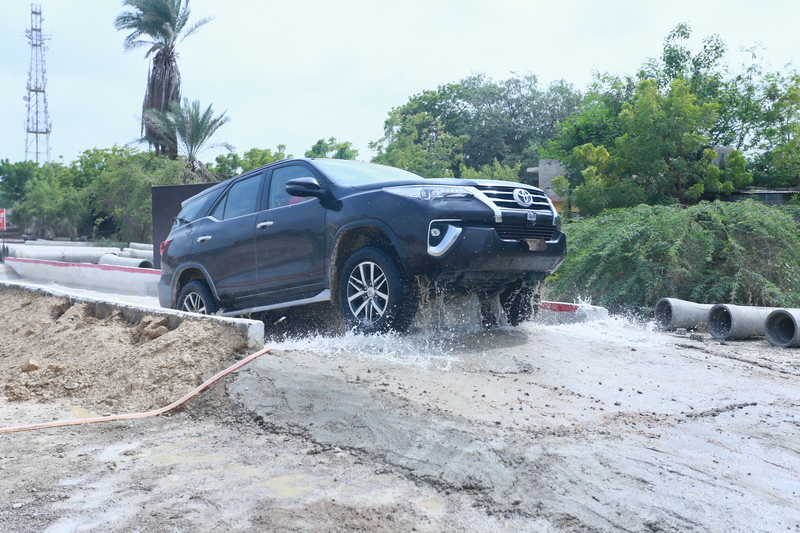 After the safety briefing was received, adventurers who had come to test the Fortuner Sigma-4 were presented with a chance to test the vehicle on different terrains, including rocky paths, watery puddles, inclines, and bumpy tracks. 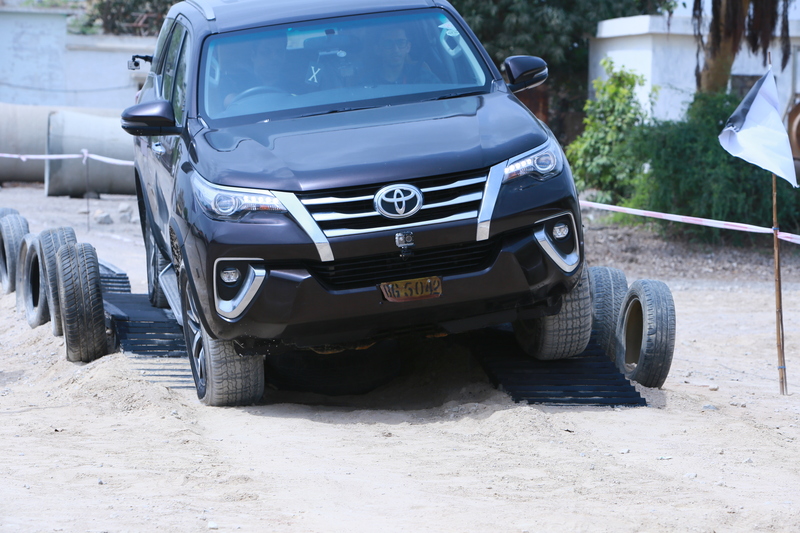 The purpose of the activity was to test the Fortuner Sigma-4’s various features including the DAC (Downhill Assist Control) and HAC (Hill Start Assist Control), where the Fortuner showcased its abilities and power very smoothly! Activities like these are not new to Toyota, previously, they had also organized a similar event in Japan for testing the Toyota Land Cruiser at a Public Square. 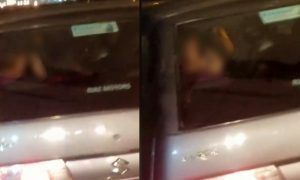 The video went viral on Youtube due to the capability of the Toyota Land Cruiser and the crowd having an enthralling time. 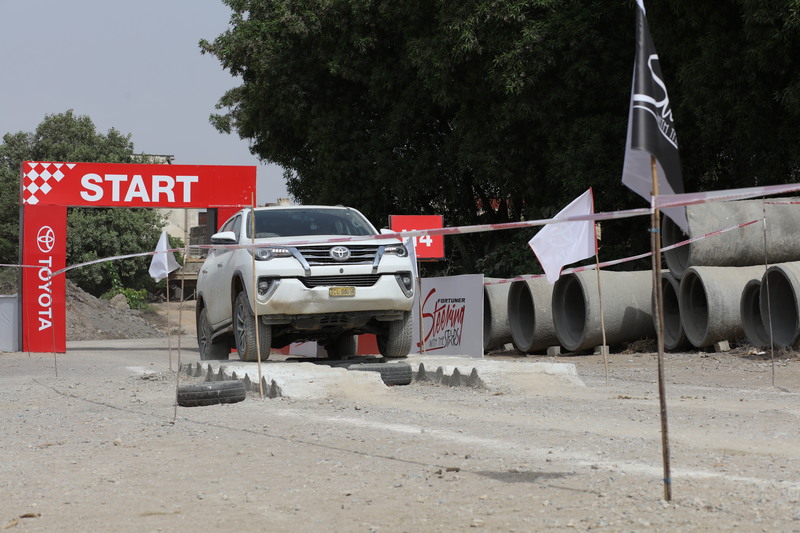 Coming back to the Fortuner Sigma-4, the experimental drive offered at the Dalmia Pipe Factory in Karachi, turned out to be an extremely thrilling event. To know the abilities of a vehicle, it must be tested in the harshest of conditions. 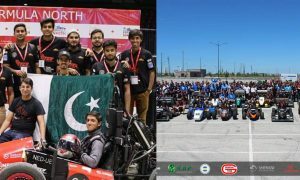 That’s exactly what the multi-terrain course offered in the middle of the city; terrains that looked and felt like the harshest of conditions where the vehicle can be tested. From the start of the trek on the inclined slope, the Fortuner Sigma-4 was a bundle of surprises. The HAC (Hill Start Assist Control) takes you on a smooth hike to the top of the ramp, as you can feel the power of the vehicle being spread around its body to make the steep scale. Surprisingly for me, the best part of the experience was testing the Fortuner Sigma-4’s DAC (Downhill Assist Control), as most SUVs and ‘jeeps’ as we call them, tend to not be able to hold their weight when coming down an inclined slope. The Fortuner Sigma-4 effortlessly made its way down without making a single sound, which is due to the vehicle’s in-built breaking and speed adjustment system. The detailed presentation on the Fortuner Sigma-4’s features can be checked here. Compared to the previous editions of the Fortuner, the Sigma-4 is full of impressive features that make it a competitive choice for buyers in the market. The first look at the car screams volumes about how far the Fortuner has come in terms of features and class. The new Fortuner is known as the Sigma-4 because of the 4th signature feature present in the car’s new 2.8L 1GD-Diesel engine. Not only is this engine better than any other diesel engine Toyota has used before but it’s also smarter, more quiet, with increased power and most of all, it offers better fuel efficiency. 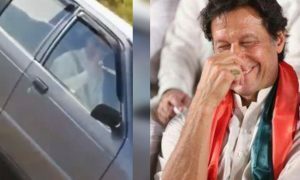 The conventional ‘loud’ sound that is found in most diesel engines is missing here, which is exactly what the buyer is looking for. The designed obstacle course proved that the engine had been worked on and was now more powerful than before. Presenting one of the most well-built off-road systems, the Fortuner Sigma-4 is a balance between external computer help and manual control over off-roading in different terrains. The fun of the drive stays with technical assistance given by the manufacturers. 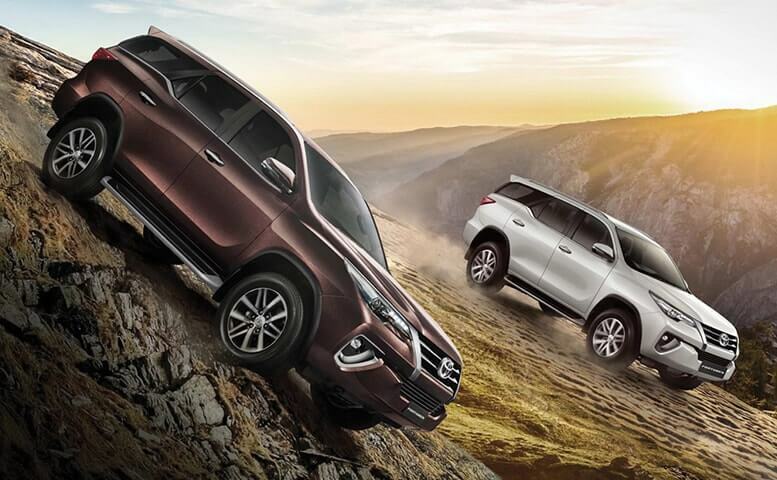 The HAC (Hill Start Assist Control) and DAC (Downhill Assist Control) play a huge part in off-roading in the new Fortuner. Even if you miss holding the breaks, the assisting system plays its part and stops the vehicle where it should. The push-start key, dual air-conditioning (AC) system, side steps, and smart entry give the Fortuner Sigma-4’s interior a unique look with all the advancements. From the well-stitched seat covers to the chamois leather interior, the new Fortuner gives an extremely luxurious feel. Cruise control, the electrically powered driver seat and the automatic push-open back door only add to the vehicle’s pizazz. The new Fortuner also packs the bi-beam LED headlamps with DRL (Daytime Running Lights) which were not present in the previous models. In addition, LED fog lamps are now present in the exceptional vehicle as well. The chic and stylish exterior of the Fortuner Sigma-4 is extremely alluring. Toyota has also paid detailed attention to the safety measures given in the new Fortuner with features like EBS (Emergency Brake System) and VSC (Vehicle Stability Control), adding to the mammoth 4×4 experience of the vehicle. To sum it all up, we think that the Fortuner Sigma-4 offers great value for the money being paid for the vehicle. The new Fortuner offers reliability, fuel efficiency, power, critical off-roading features, and a luxurious feel altogether. It is safe to say that Toyota has done a terrific job with the Fortuner Sigma-4.